On this page you can select delivery times and specify location. Click "Add" and the delivery option will be added to your order. Any equipment set up labor will be calculated and added under your sub-total. 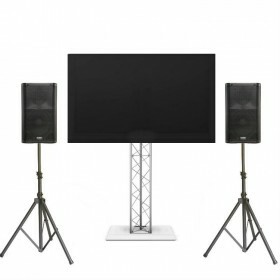 LCD Flat Screen 70" Television Display with HDMI and VGA inputs on truss stand. 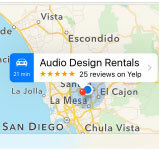 © 2019 Audio Design Rentals. All Rights Reserved.